Human hair full lace Wigs are made from high quality human hair/fiber, which is virtually indistinguishable in appearance. 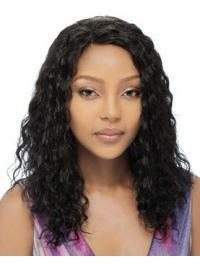 Human hair full lace Wigs offers the most natural look and feel. Human hair full lace wigs can be curled, straightened, and blown dry with heat tools, as well as custom cut or coloured--just like your own hair. Shop Our vivhair.co.uk for Human hair full lace wigs and find styles and prices you'll love! Our vivhair.co.uk can make you more charming!